A freeskier at Indianhead in Michigan. The term ‘merger' is often met with trepidation–like say, your doctor’s office merges with your insurance company. No good can come of that. But when ski resorts join forces, it’s the guests who reap the benefits. 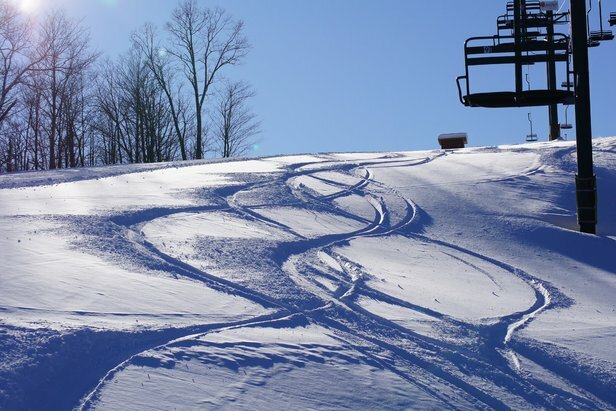 This season, Michigan’s Indianhead Mountain Resort and Blackjack Ski Resort have merged under the management of a new entity, Big Snow Resorts. The alliance provides a new opportunity for skiers and riders in the Bessemer and Wakefield areas to enjoy the two resorts as one skiing and snowboarding experience. Guests can purchase a new interchangeable ticket—available for half days visits up to four-day trips—and enjoy unlimited skiing at both resorts from 9 a.m.–4 p.m. daily, plus free night skiing at Blackjack Resort from 4-8 p.m. Night skiing runs December 27–January 3, then Saturdays (weather permitting) through the remainder of the season. Fist bumpin' on a great day at Indianhead. 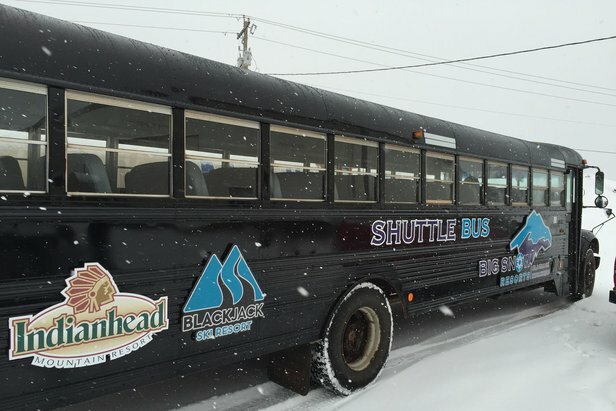 In addition, guests can jump aboard Big Snow Resorts’ new complimentary shuttle for an easy and free lift between mountains. 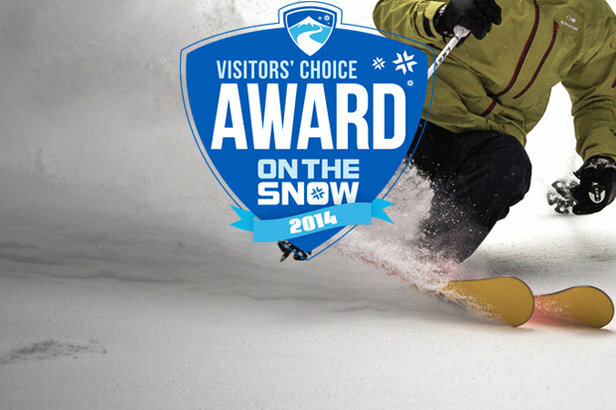 At just 11 minutes apart, it’s easy to start the morning in the woods at Blackjack and finish the afternoon catching air in the terrain park at Indianhead—the 2014 OnTheSnow Visitors’ Choice pick for Best in the Midwest. 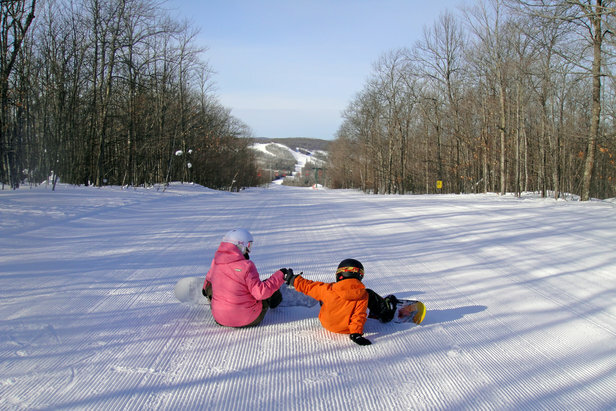 In fact, Indianhead was also named Best Overall Ski Resort in the Midwest by OnTheSnow visitors. Getting the hint yet? 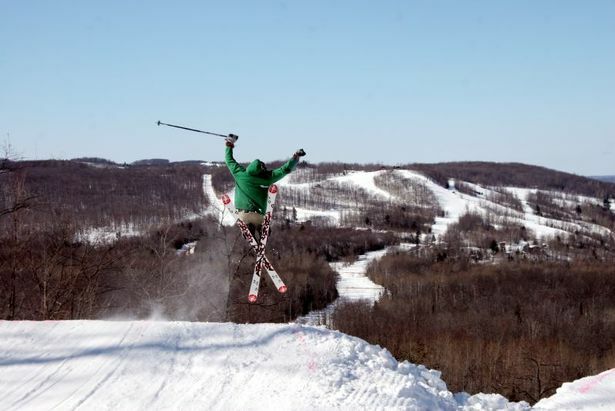 The two resorts offer a combined 410 skiable acres, 54 trails, 15 lifts and four terrain parks. Best of all, the peaks look out on one another, so it’s easy to keep tabs on the conditions down the road. And with an average annual snowfall of 17 feet, it’s safe to play on some powder-invoked hooting and hollering to echo through the valley. Each resort offers a variety of terrain, from steep double-black diamonds to beginner terrain and ski schools, plus trailside lodging and dining options, while also bringing their own identity to the new partnership. Having already received nearly 9 feet of natural snow, Indianhead opened with some of their best-ever early season conditions on November 28. Blackjack followed suit on December 19, and with snowmaking going full bore, it could be a very white Christmas on the slopes. New for the 2014/15 season, Blackjack resort has expanded its gladed terrain on the backside of the mountain with new woods stashes to explore.